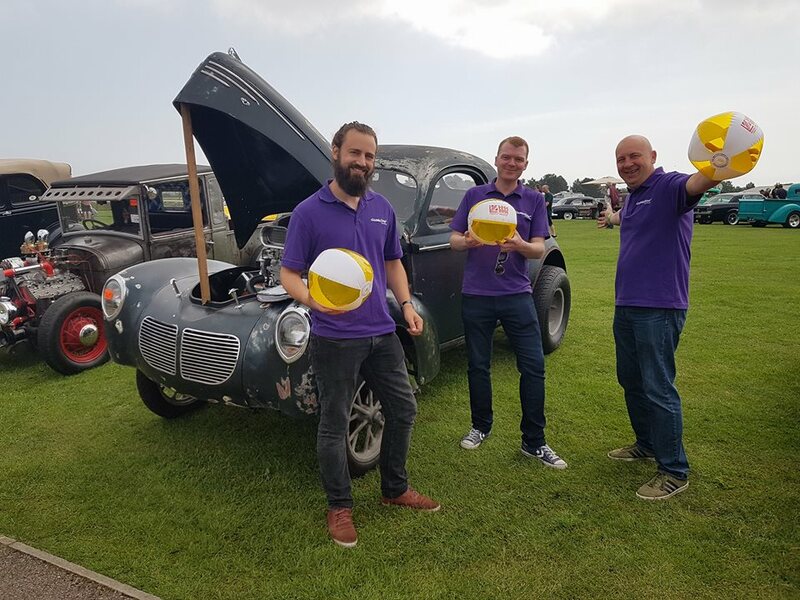 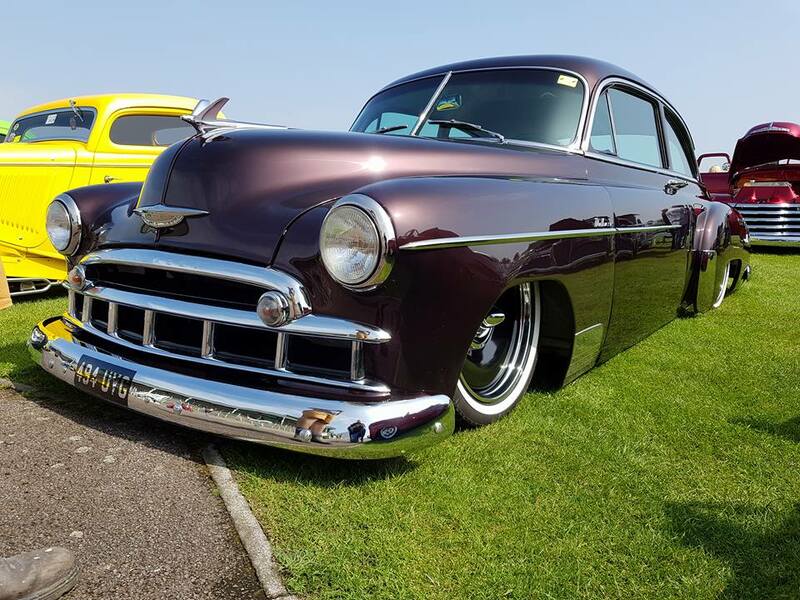 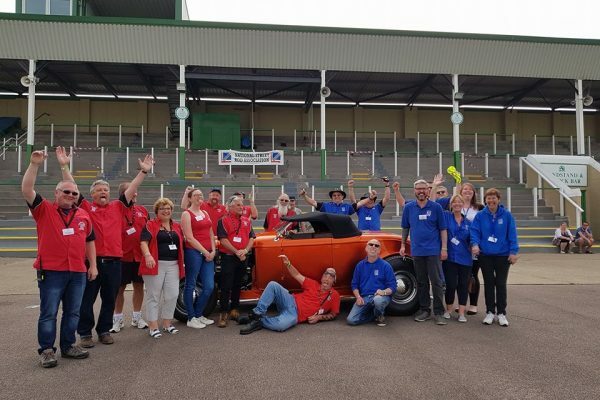 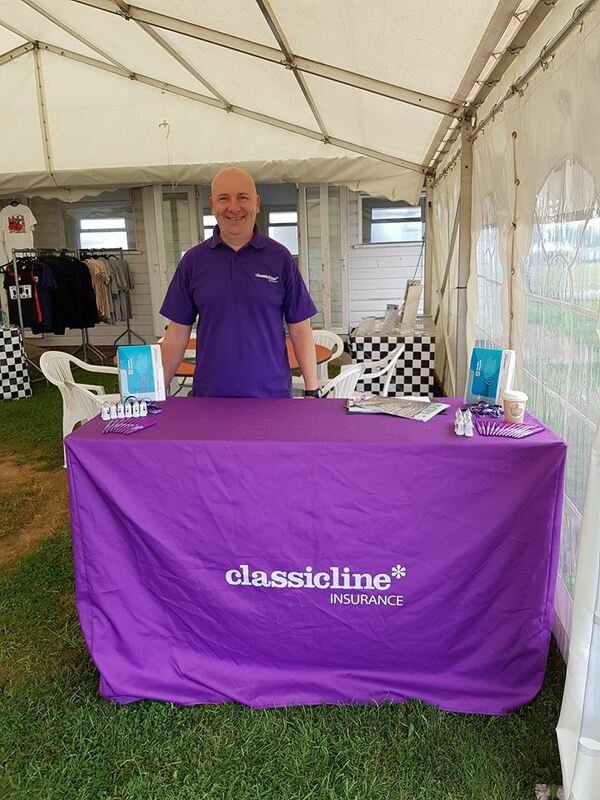 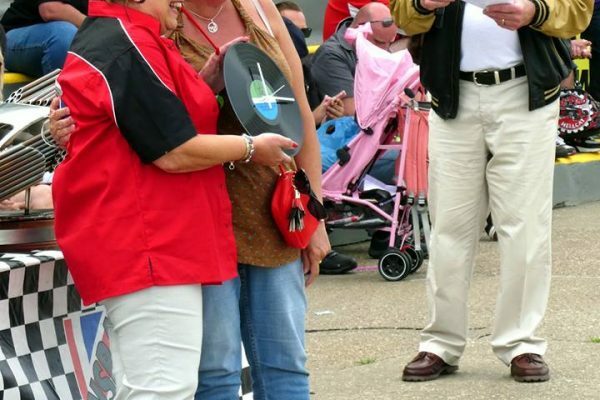 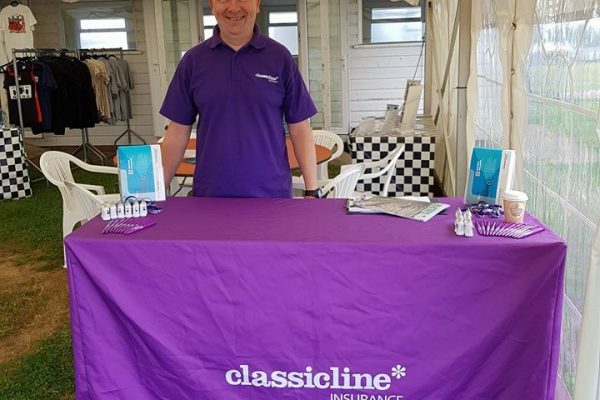 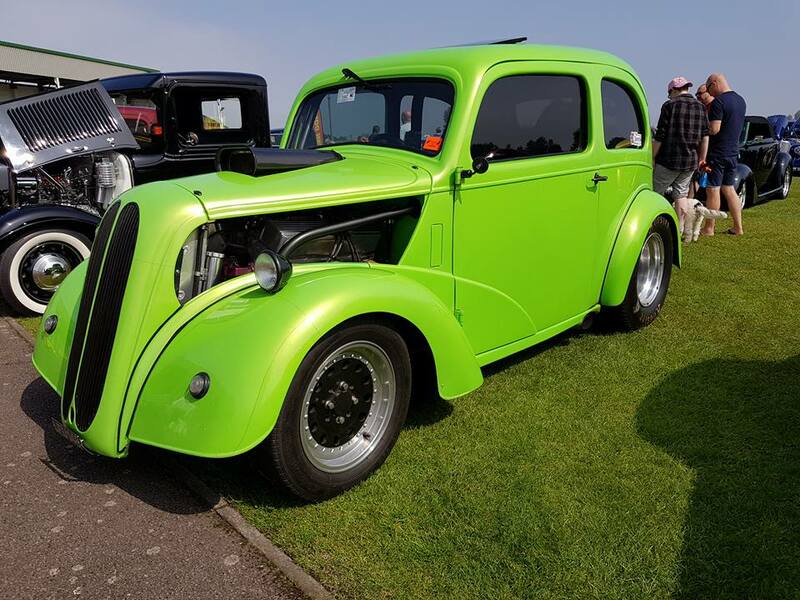 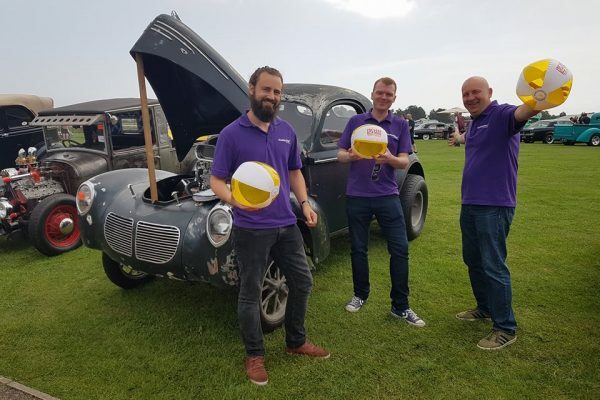 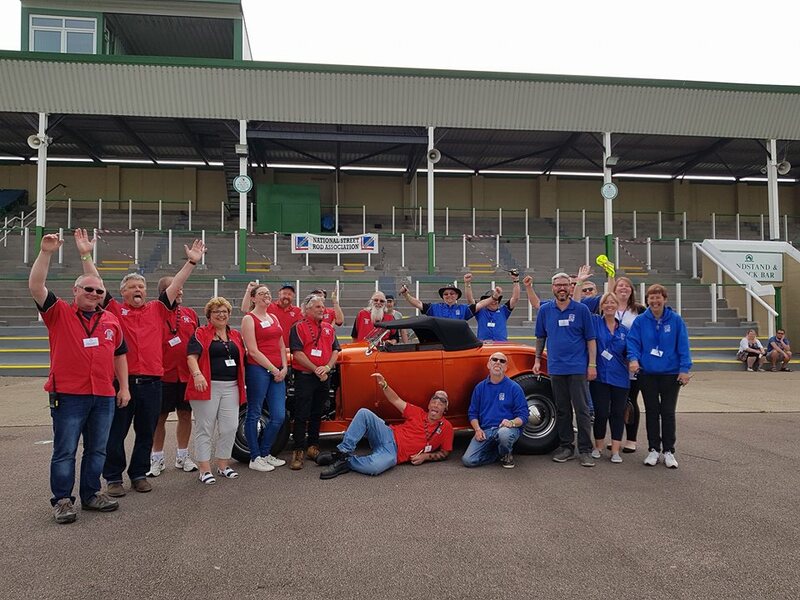 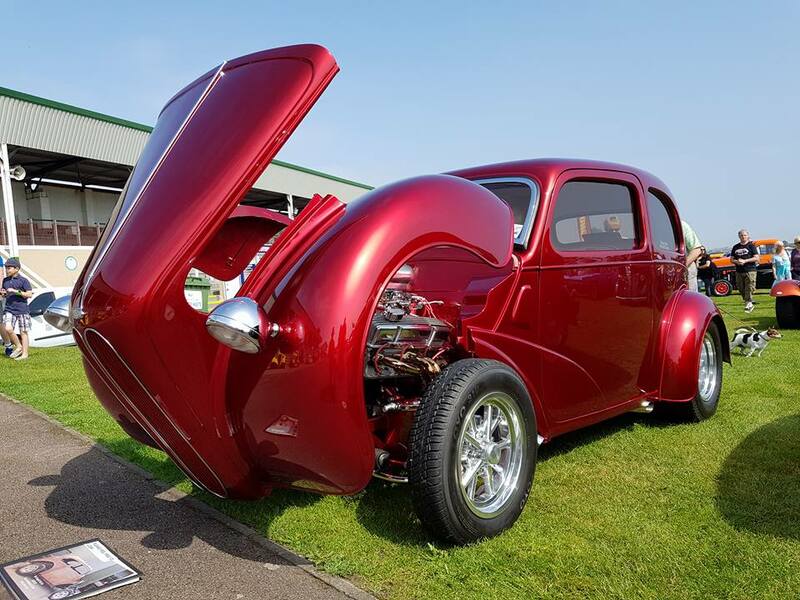 We had a great weekend at the NSRA Fun Run in Great Yarmouth with our friends at the National Street Rod Association. 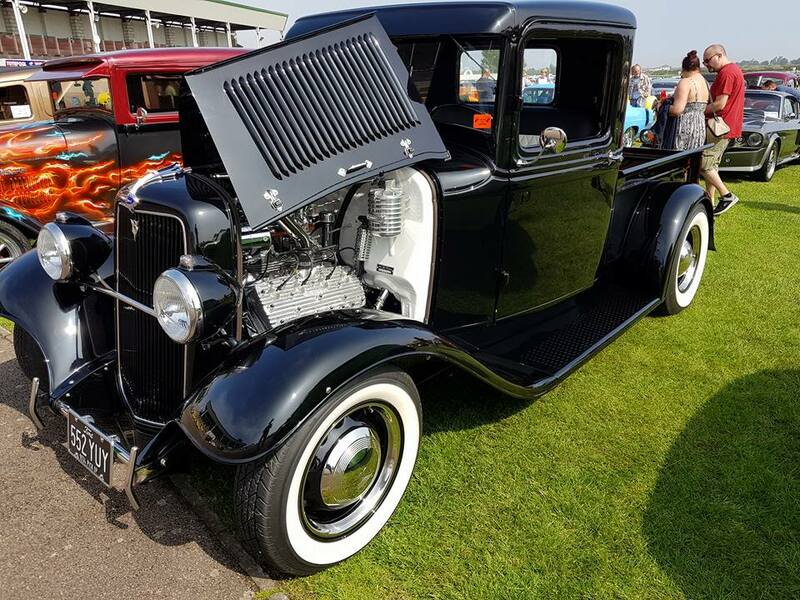 Even though it poured down most of Saturday and at times we were covered under a blanket of sea mist, the sun shone on Sunday, right on cue! 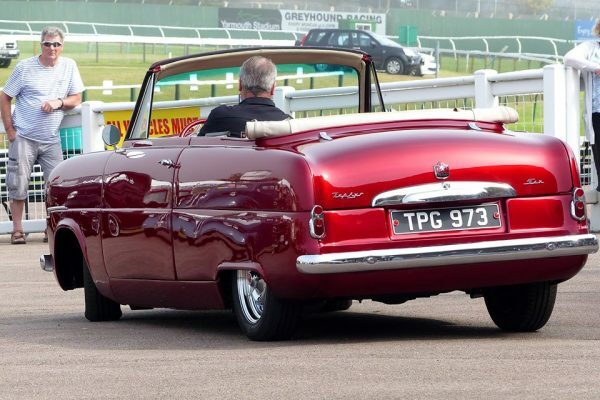 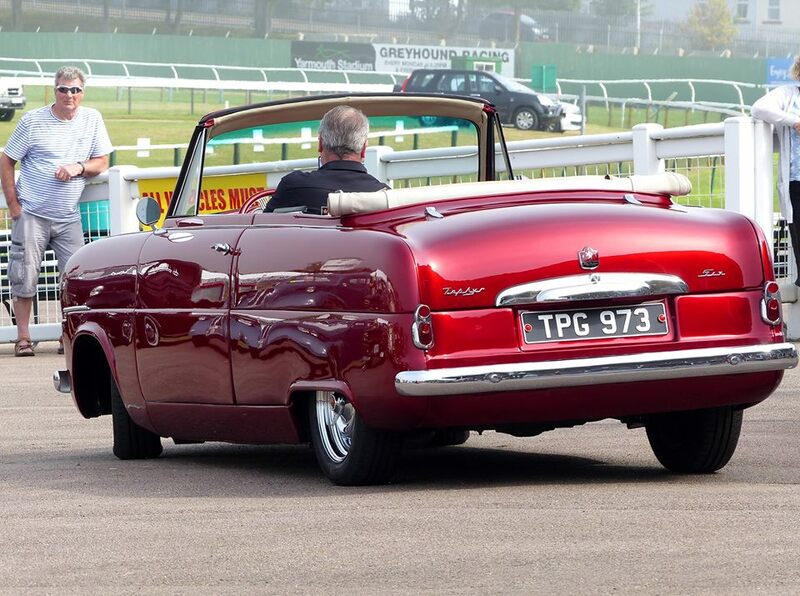 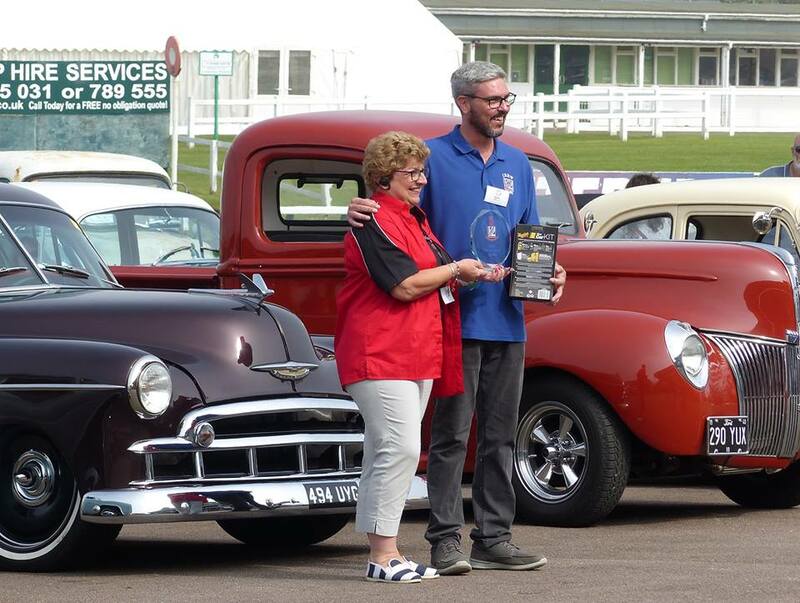 At prizegiving, we were wowed by three cars fresh out this year. 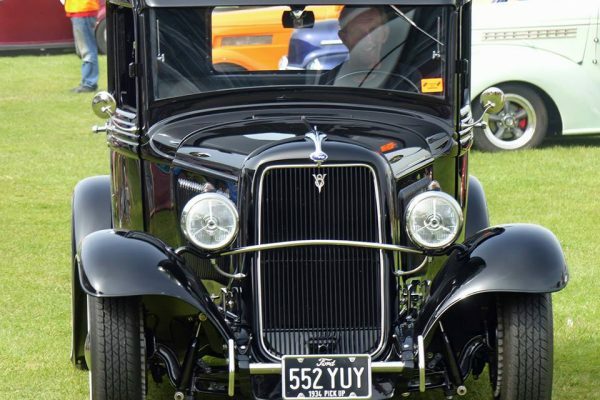 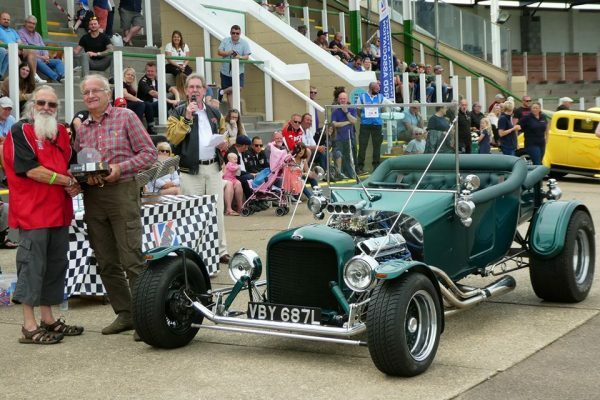 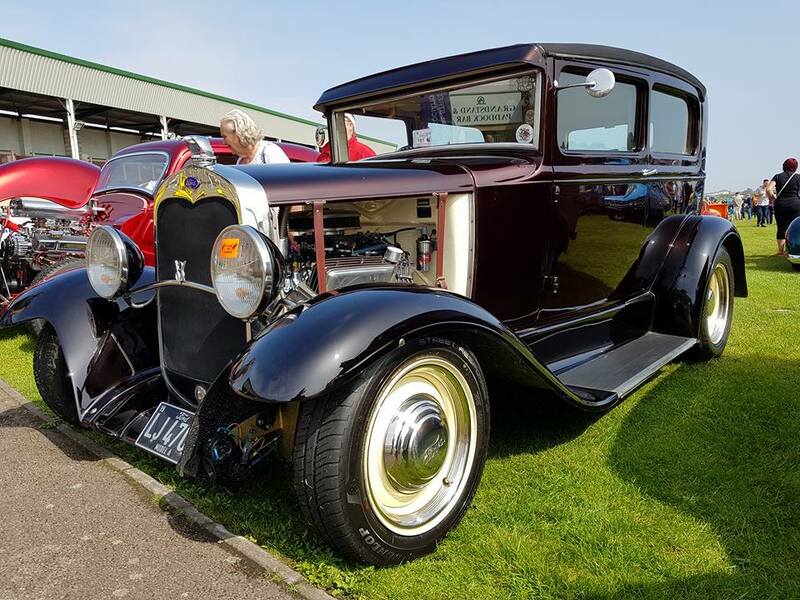 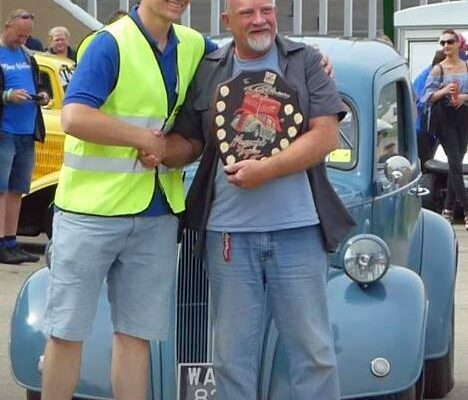 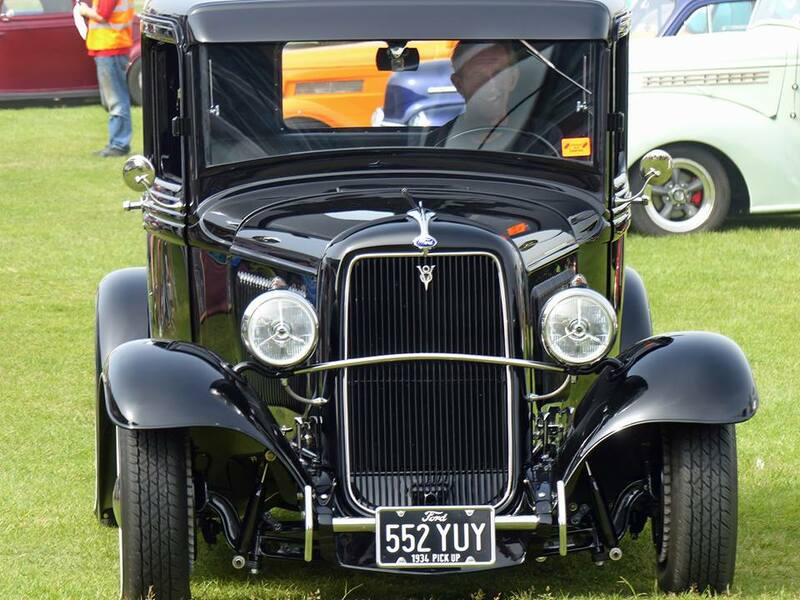 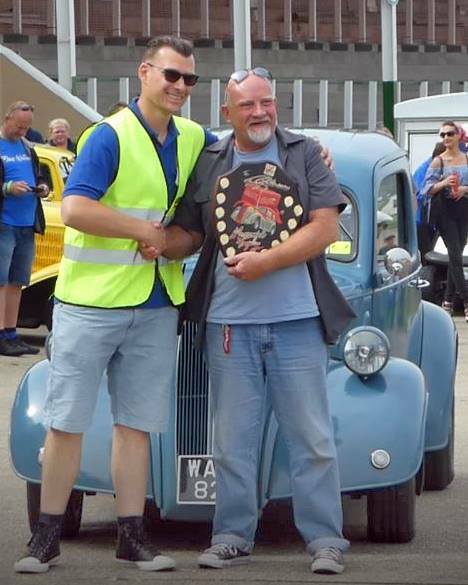 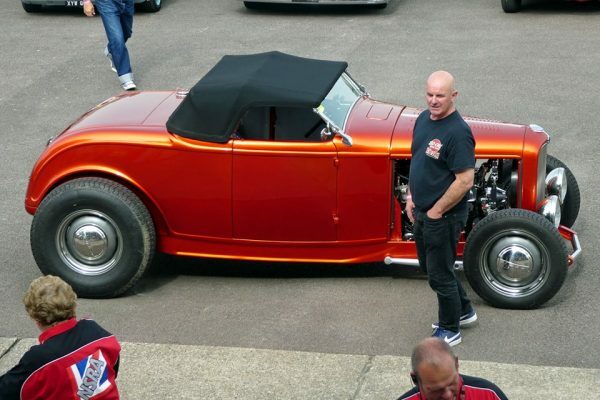 Congratulations to Paul Henwood with the ’32 roadster on winning this year’s Participants Choice award. 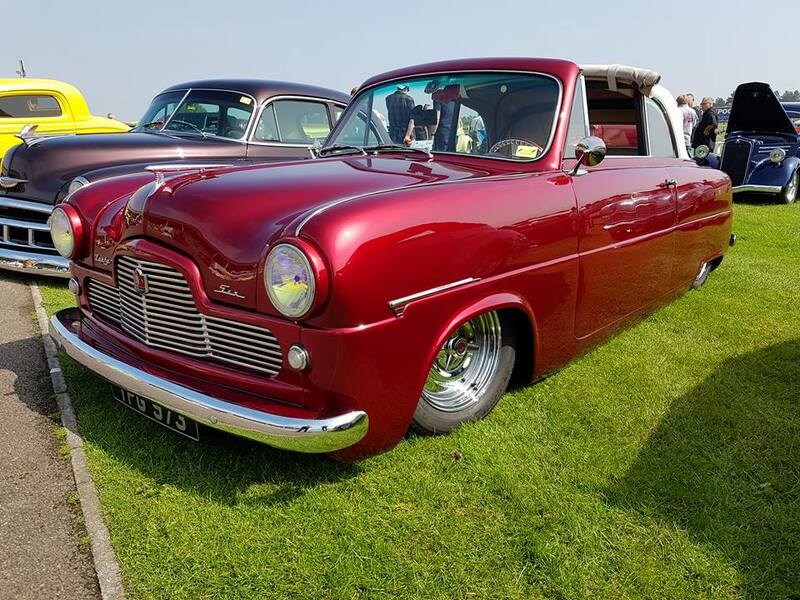 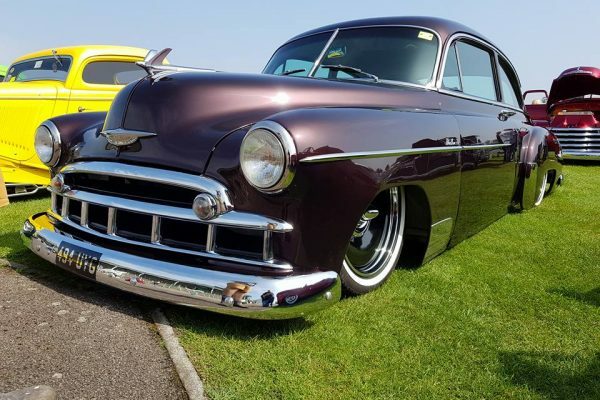 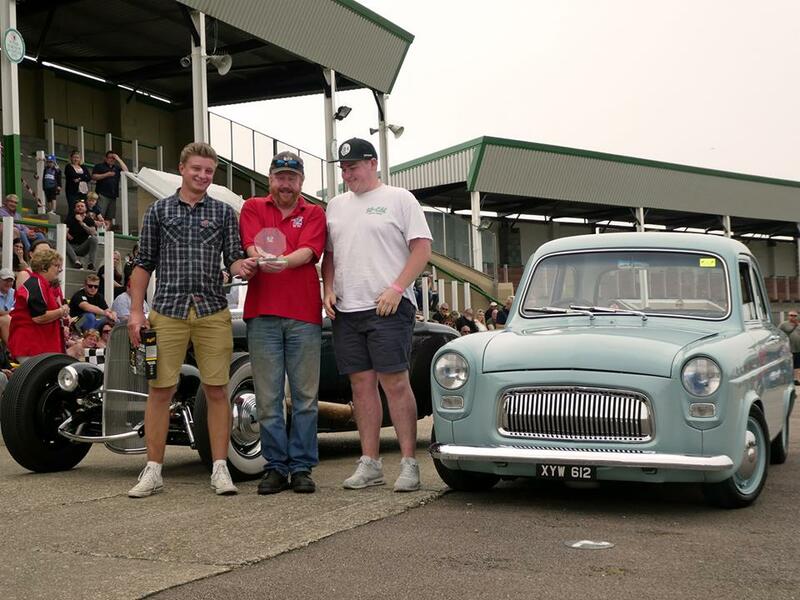 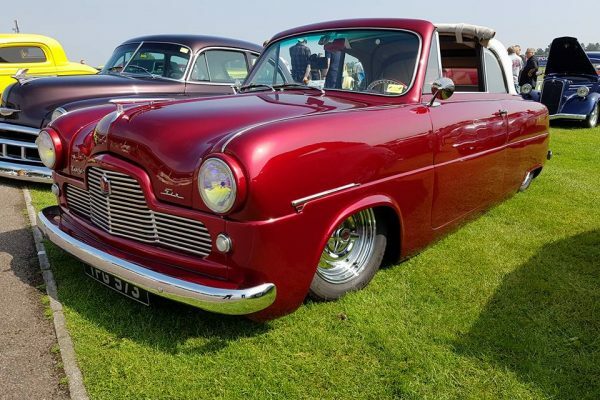 Also to Mark Dunn with the ’50 Chevy Styleline who had driven all the way from Edinburgh, and Elliott Morris with his super cool ’53 Zephyr. 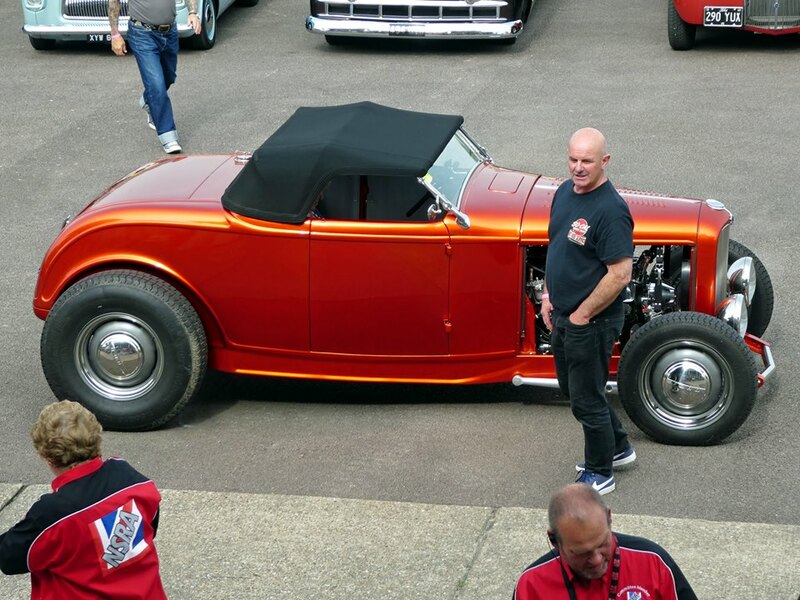 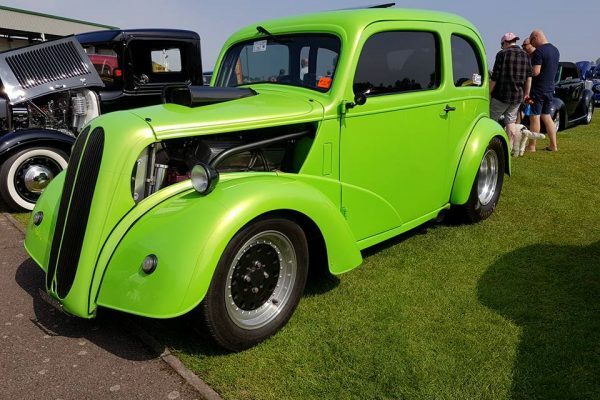 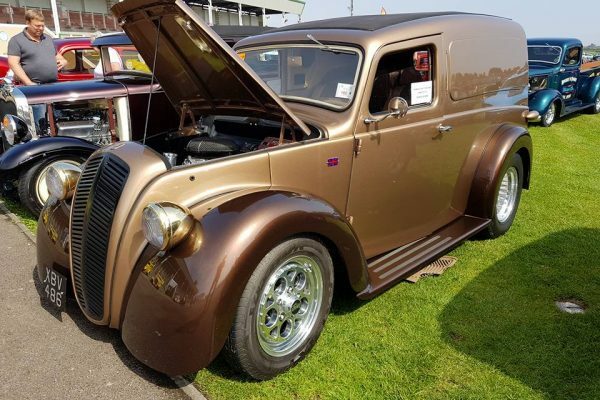 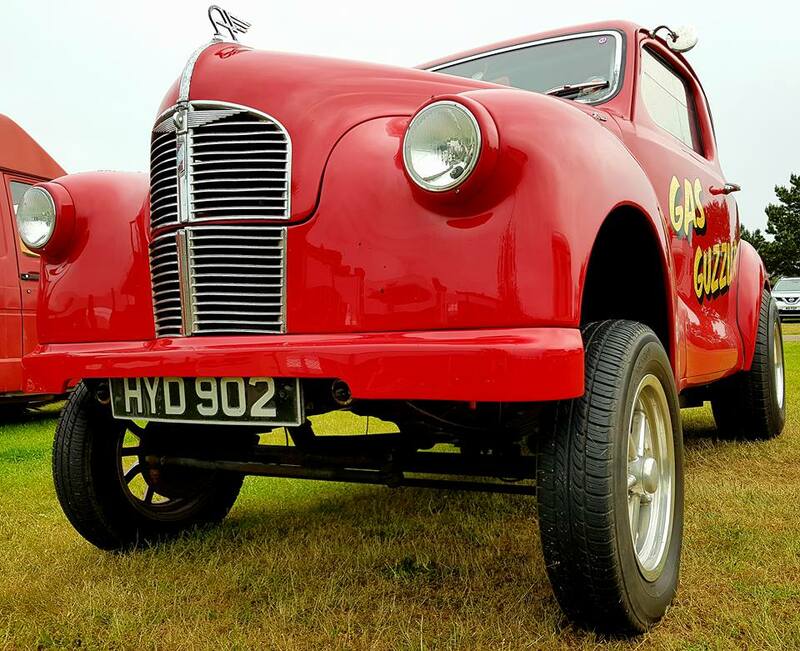 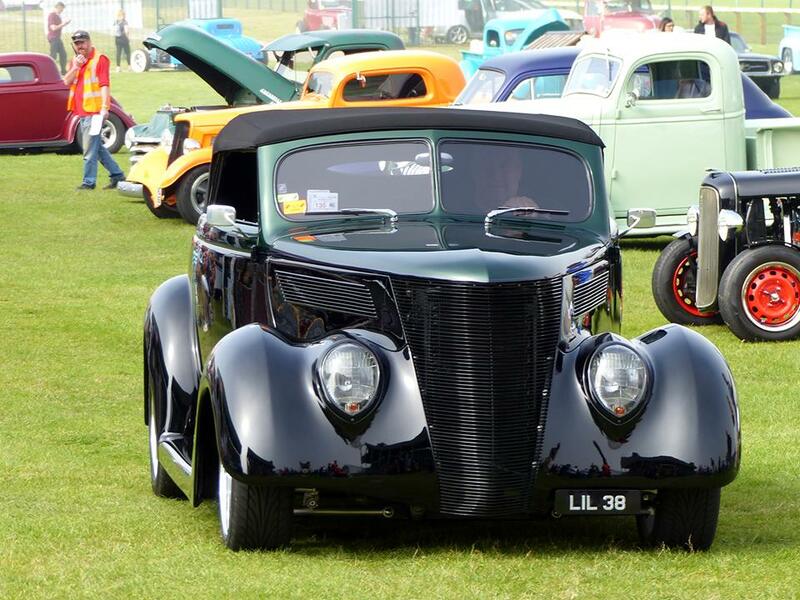 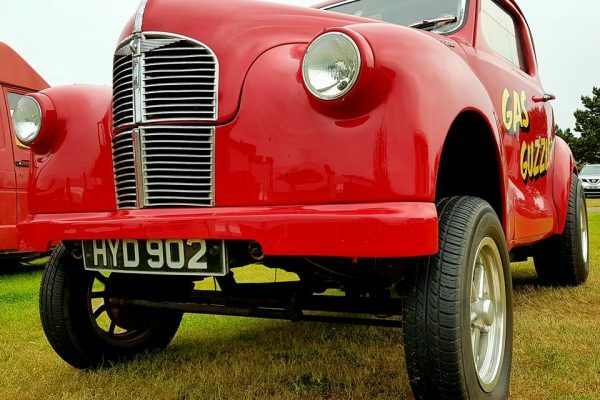 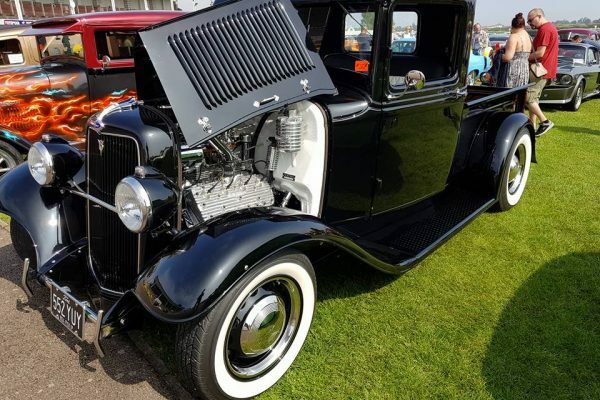 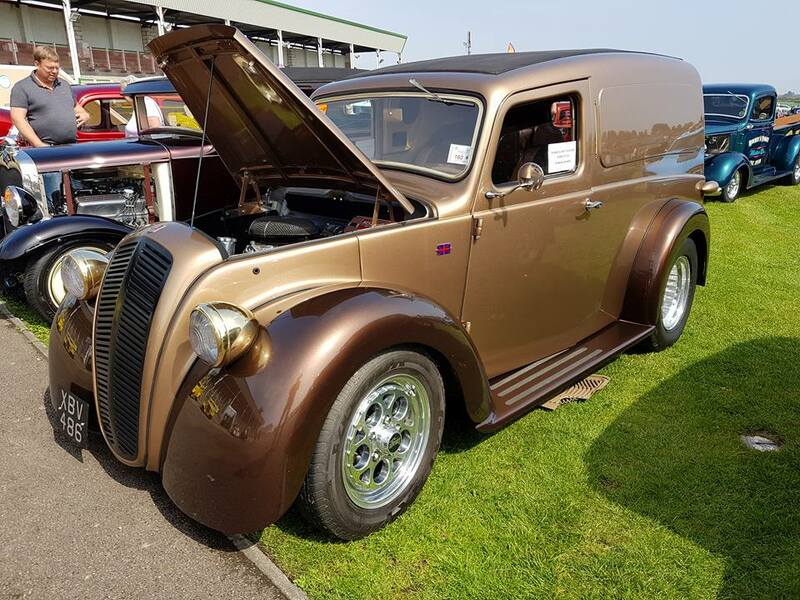 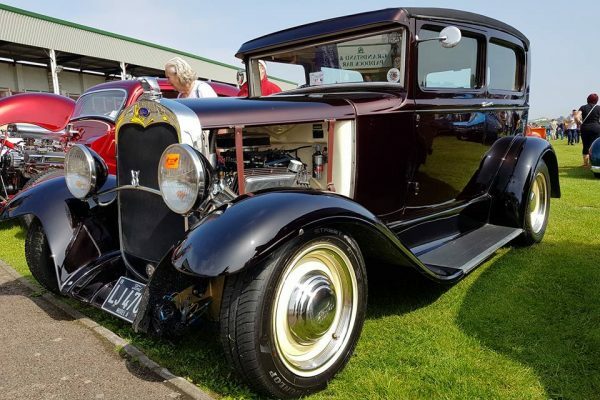 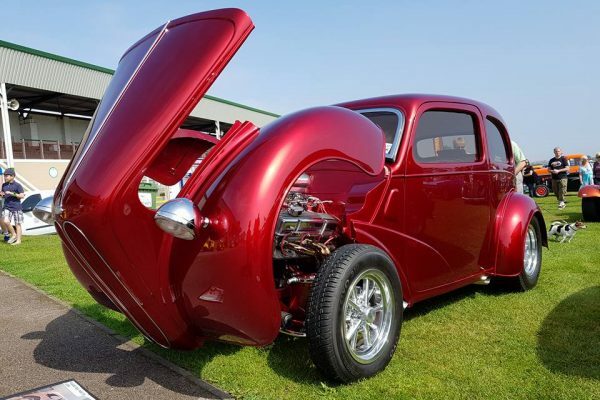 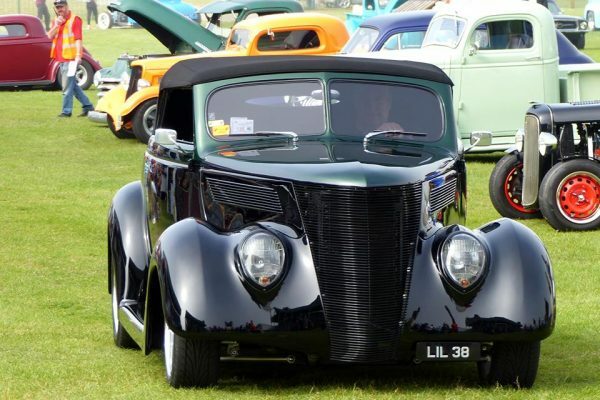 It was also great to see Phil Perry again with his ’34 Ford Pick Up which was recently crowned ‘Best in Britain’ at the National Hot Rod & Custom Show. 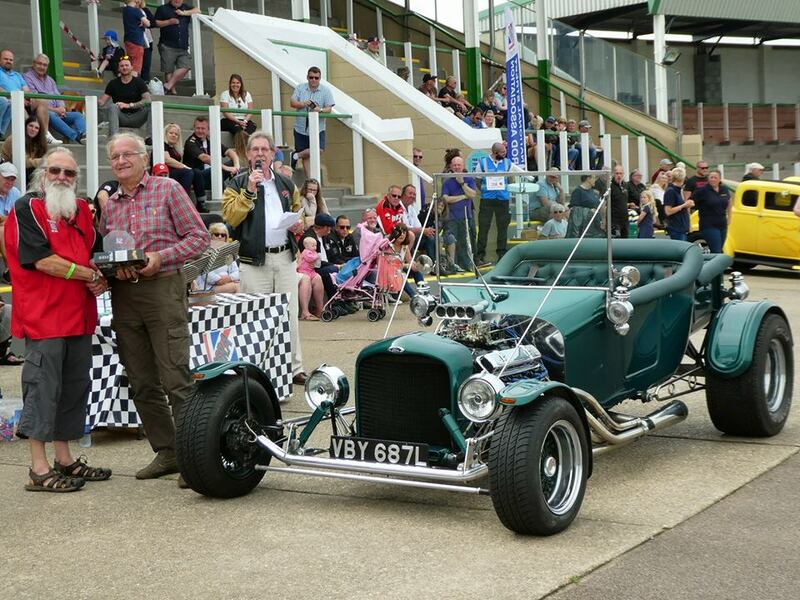 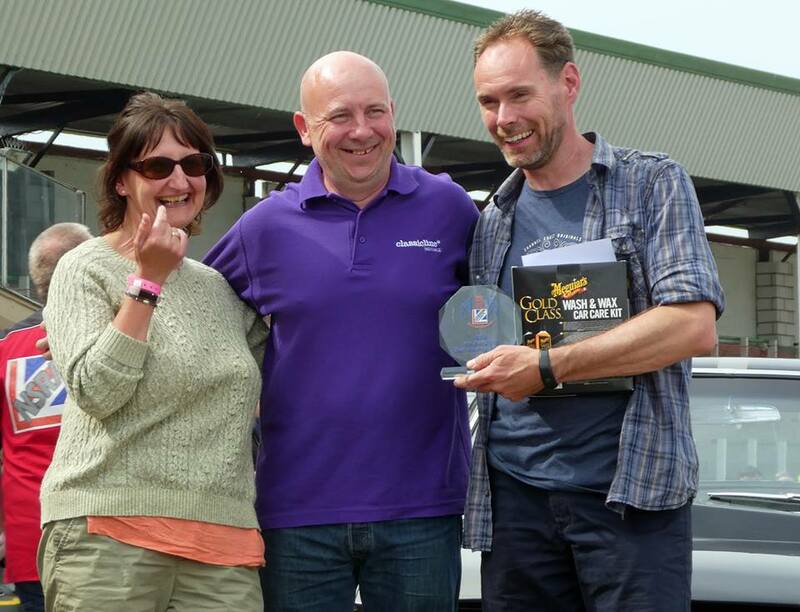 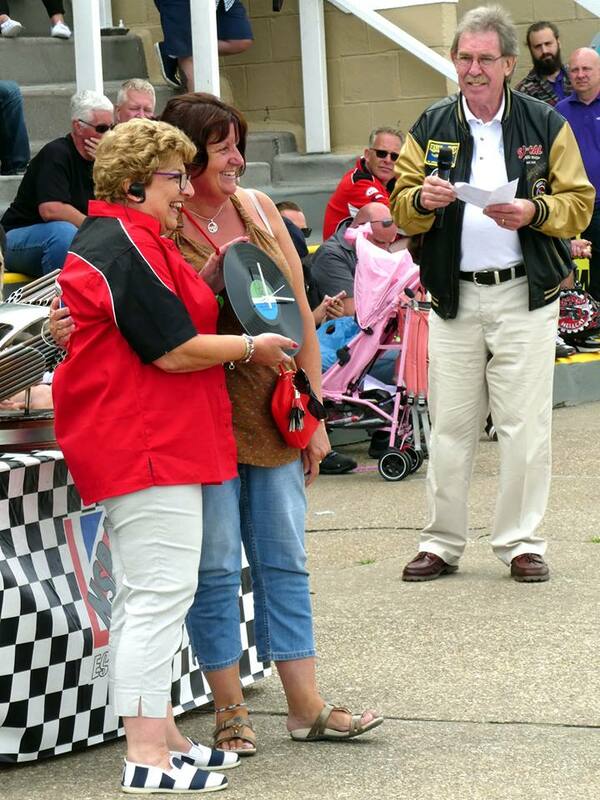 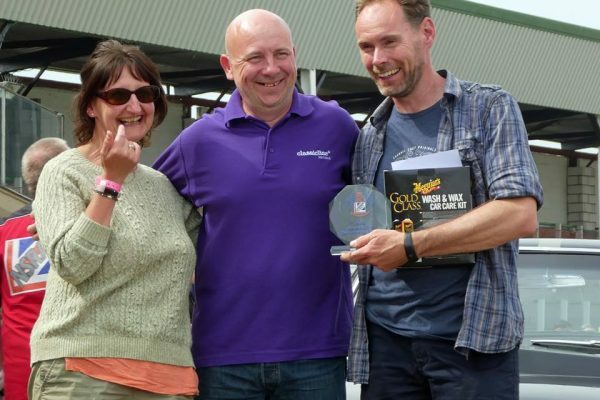 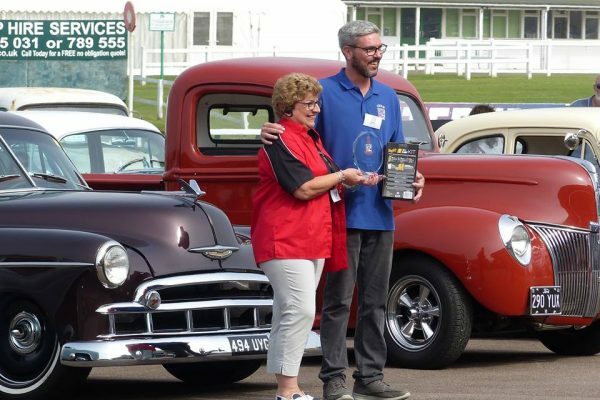 Congratulations to all the winners and thanks to the NSRA team for another ‘Great’ hot rod weekend at the seaside. 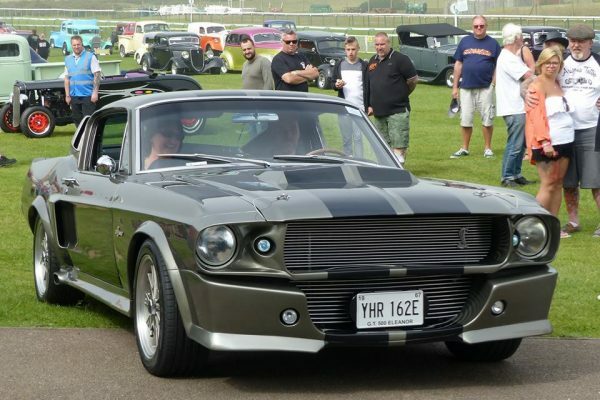 Best American Muscle sponsored by ClassicLine Insurance: 1967 Mustang – Shelby, owned by Paul Shuttleworth, presented by Darren Ansell of ClassicLine Insurance. 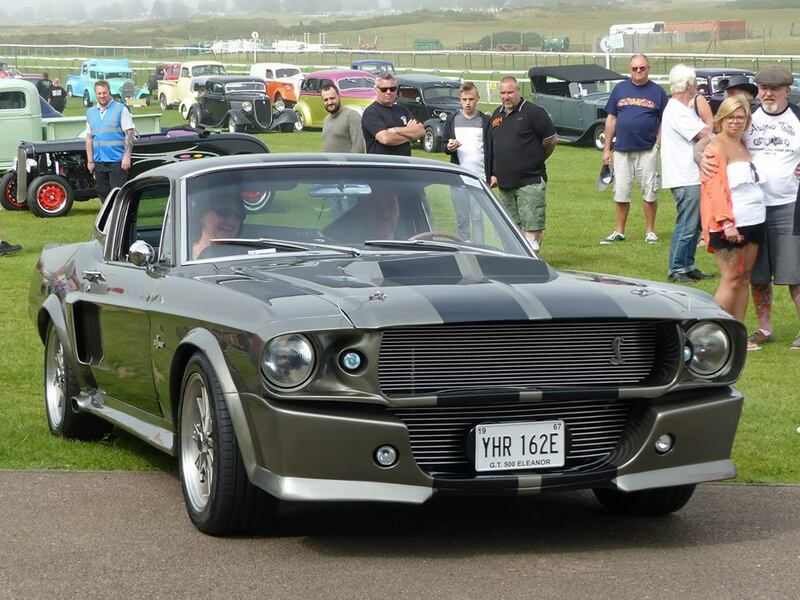 We look forward to bringing you a full feature on this car!